It is estimated that there are between 5,000 – 10,000 tigers in private hands in the United States. 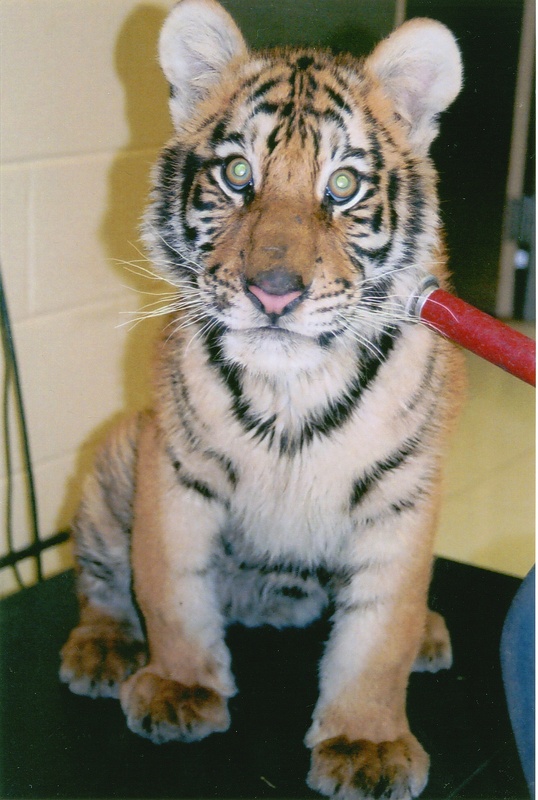 This is how Aria Tiger looked when she was rescued from a private owner in South Carolina in 2013. She was purchased from a breeder and kept as a pet in a family’s back yard for 10 years. When Carolina Tiger Rescue was called in, she was days from death because the family could not find a vet who was willing to care for her. In addition to a lack of knowledgeable medical care, many tigers in private hands are not given proper diets, adequate room to roam, or stimulation to keep them from becoming bored and developing behavior disorders. Even when private owners have the best of intentions, wild cats often suffer greatly in this kind of captivity. There is no federal regulation about owning wild animals. In 4 states, including North Carolina, your neighbor could have a tiger in their back yard and you don’t have to know. When Aria arrived, she weighed around 200 pounds and barely had the strength to lift her head. Our veterinarian was able to diagnose Aria with exocrine pancreatic insufficiency. We began feeding her beef pancreas to provide the enzymes that her body didn’t make, allowing her to absorb nutrition from her food. Aria’s health improved greatly and she climbed to a healthy weight of around 400 pounds, her coat filling in and showing all of us what a beautiful and strong wild cat she was. A tiger cub can be purchased for less than the cost of a purebred puppy. Breeders advertise freely online. The number of tigers kept by private owners in the US is estimated to be anywhere from 5,000 to 10,000 – but there is no way to know for sure because there are no federal regulations in place regarding private ownership of wild cats. At the same time, wild tiger populations have decreased from 100,000 individuals to 3,800 – world wide – in just 100 years. These tigers are not representative of any individual subspecies. They are “mutt” tigers and, as such, are not eligible for placement in zoos if an owner decides they can no longer care for their adult tiger. Kaela and Rajah Tigers were found as 6-month-old cubs walking alongside the highway outside of Charlotte, North Carolina in January, 2005. No one ever came forward to say where they came from, but the most reasonable explanation is that they were kept by a private owner who realized that they had very quickly become too large and too dangerous to be pets or to be used in a cub petting or photo opportunity business. It was a stroke of luck that the person who first saw them was an off-duty police officer who was able to stop traffic and call animal control to get the cubs from the busy roadside. 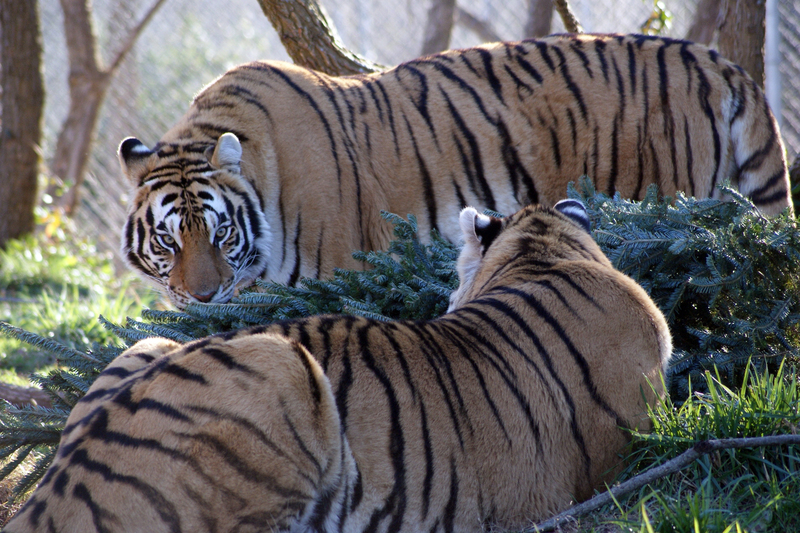 The cubs went to the NC Zoo for a quarantine period and then came to their forever home at Carolina Tiger Rescue. 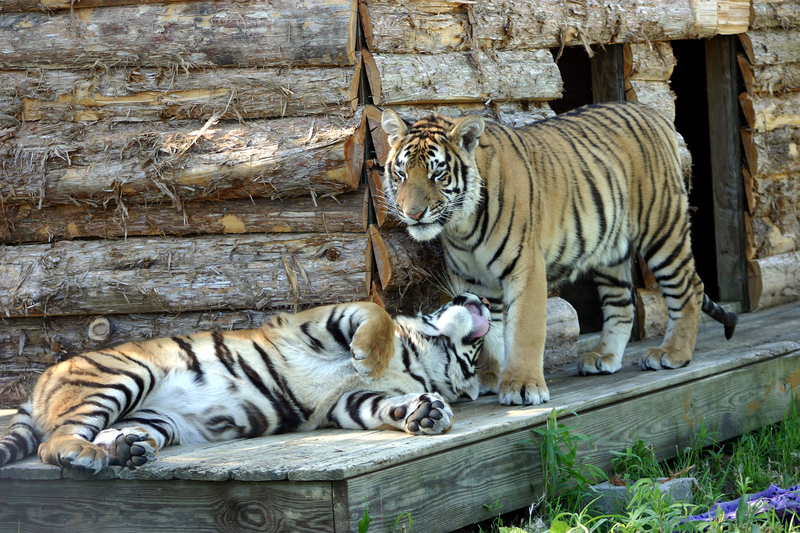 Kaela and Rajah as 10-month-old cubs. They weighed approximately 90 lbs each and were very playful. They used their sharp claws, teeth, and incredible strength already – they would not have been safe pets. Kaela and Rajah at 4 years old. Kaela is now around 400 lbs and Rajah 450 lbs. Those sharp claws and teeth now have a lot more power behind them. Any human contact with wild animals of this nature would be extremely dangerous. Check out #PredatorsNotPets on Instagram and Facebook and add your voice to the call – predators are not pets! You cannot love the wild out of an animal. Share this information with people you know who are considering ownership of a dangerous wild animal as a pet. Did you know? 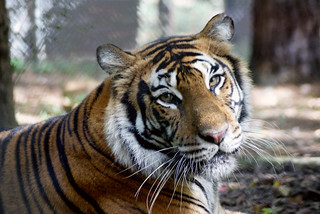 Carolina Tiger Rescue is currently home to 12 animals who came to us after being kept as pets. 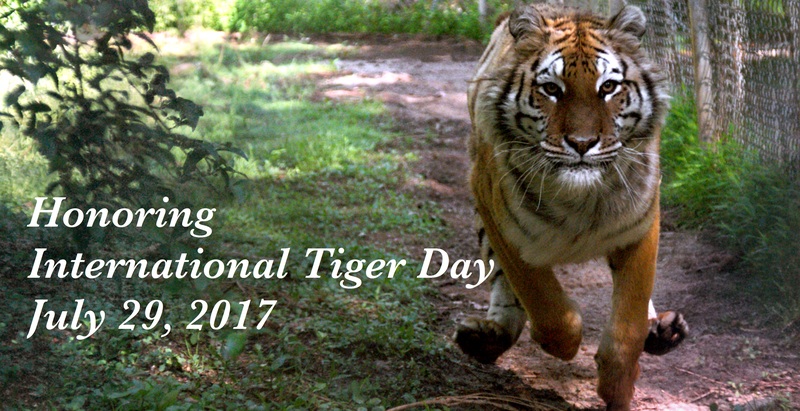 One of Carolina Tiger Rescue’s guiding values is our belief that the ideal home for wild animals is in the wild – they should not be kept as pets. Wear your heart on your sleeve and sport our International Tiger Day t-shirt to spread the word! Become a member and be in the loop to learn more about the problems with captive wild cats and what you can do to help. 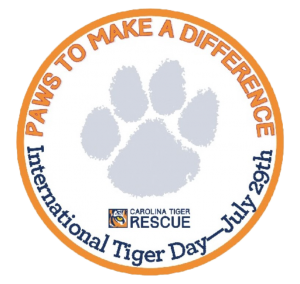 “Paws to Make a Difference” in honor of International Tiger Day. Make a donation of $5 or more and a Paw with your name on it will be added to the gift shop wall! 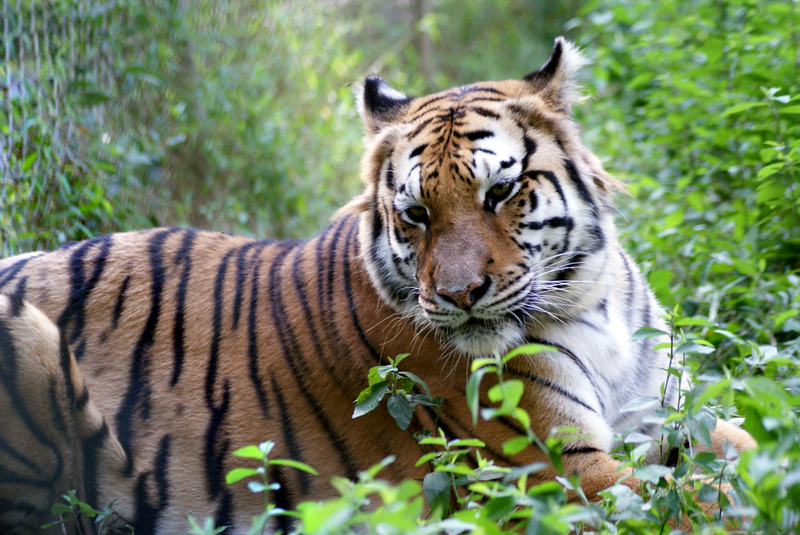 Your gift will help Carolina Tiger Rescue provide the best habitats, health care, food, and enrichment for the animals who have found a home at Carolina Tiger Rescue!